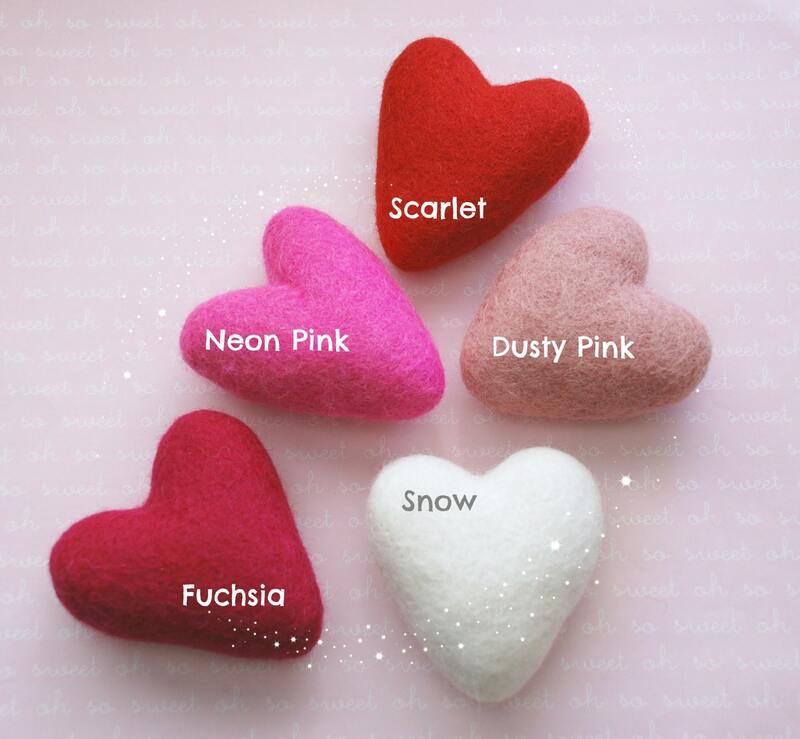 These felted hearts are so much fun! 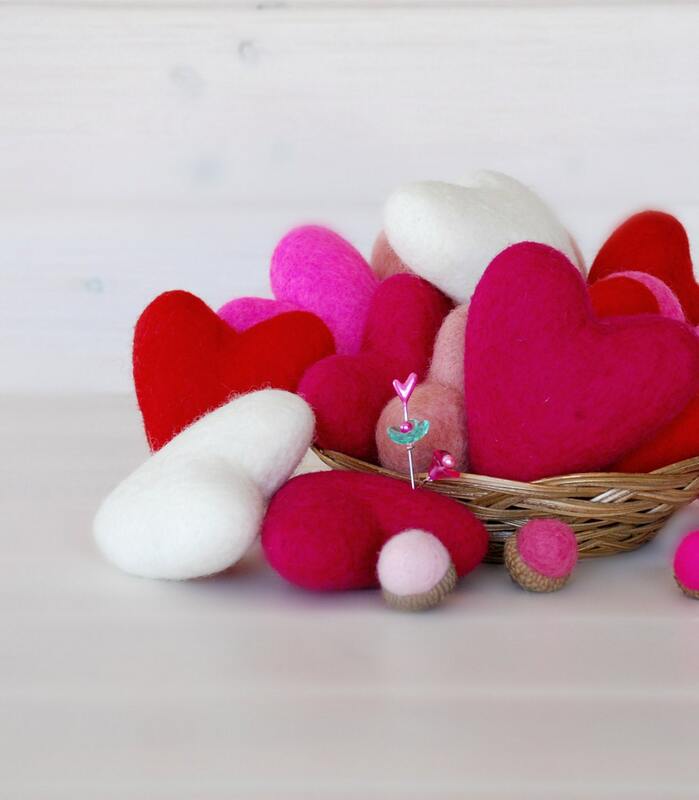 Make ornaments, pin cushions, add them to mobiles for babies or flower arrangements, cake toppers, string them together to decorate a room or add some stitches as well! Perfect for DIY project for kids. Size: Approx. 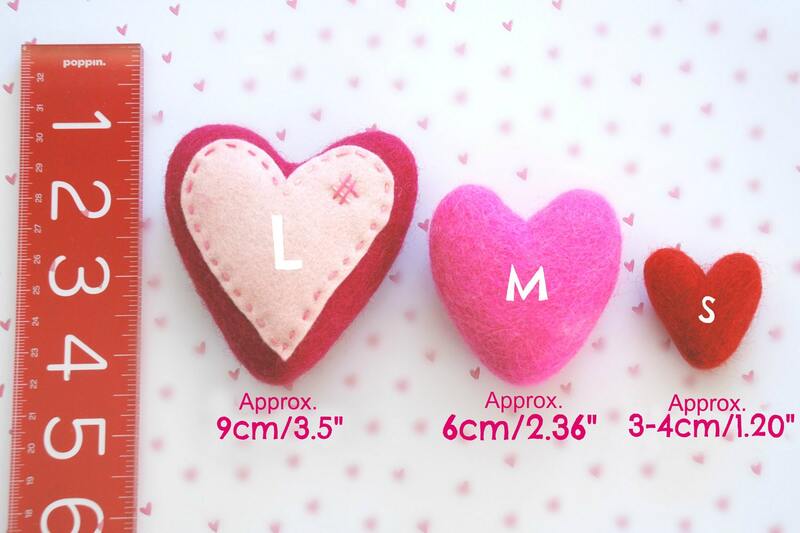 6CM and 9CM Refer to image #4. (Being handmade, there is naturally a variation in size within colors; also, some colors tend to be slightly larger or smaller than other colors). Color: Available in 5 colors - Choose from drop down menu, the Mix and Match option is for you to select different colors, advise colors in "Notes to Seller". 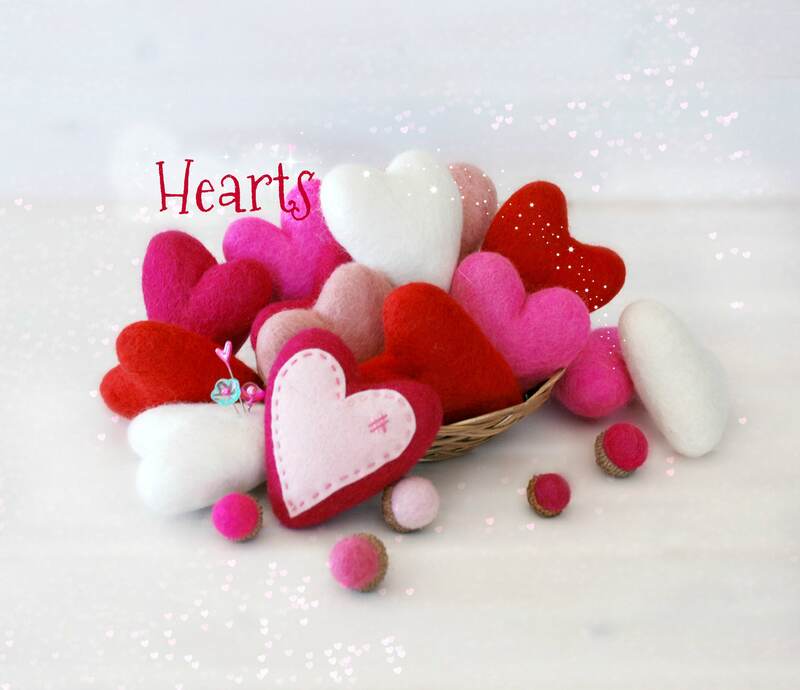 Used for my lantern for valentine day decor. Super cute! !